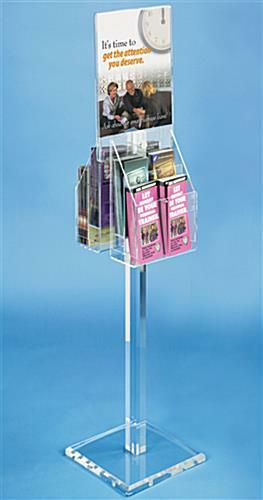 These Magazine Racks are Floor Standing Displays Made out of Acrylic. 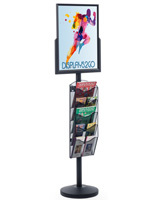 Purchase by 1 pm EST for Same Day Shipping! 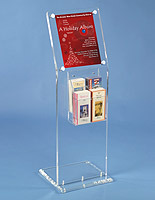 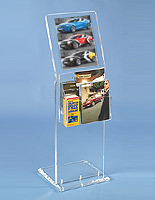 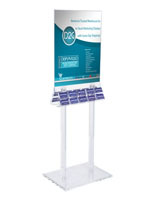 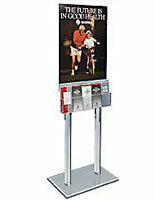 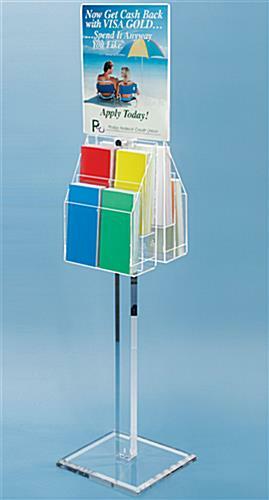 Magazine racks with brochure holders – Magazine racks have an acrylic stand that is 53"h with a 11"wide by 14"high sign holder. 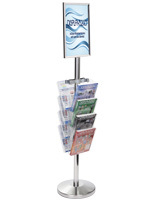 Magazine racks come with 8 adjustable literature holder pockets, 4 on each side, that can be configured to hold 8-1/2" wide literature or 4-1/4" wide brochures. 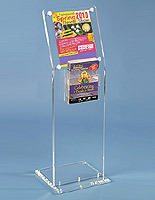 Base is 11.75" square.